Make sure that you’ve informed your guests of how to get to the location, prepare the printed materials/handouts, test all audio and video content. Make sure event staff understands tasks and responsibilities and when the room is ready. You should always draft a checklist. Be sure to print out the event spec sheet; let each member of the team and volunteers have a copy. 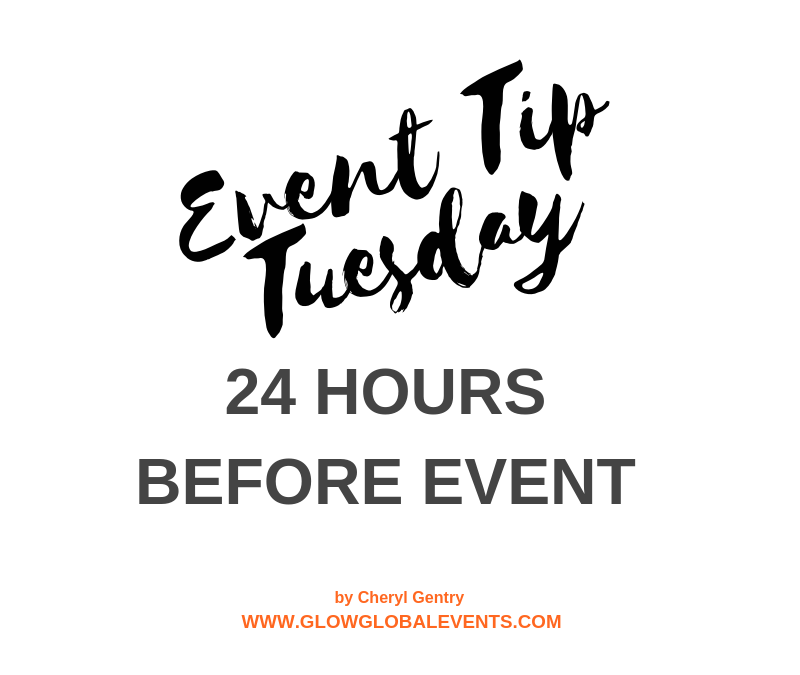 Check out our Event Volunteers Tip on our website.